The Green Machine - A landscaping design company. Need a new wall, walkway or patio? We can help! A properly designed sprinkler system improves the health of your lawn and landscape. A greener, more enjoyable lawn has never been easier. We have been working in the green industry since 1974 and fostering long-term relationships ever since. As a result, we have earned a reputation as one of the premier residential and commercial landscape companies in the state. 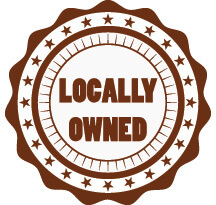 Our family-run business, located in Bloomfield, CT, serves the Greater Hartford area. For more information about the services we provide, please visit the “Our Services” pages. Or contact us with any questions or for a free, no obligation estimate. The Green Machine turns your dirt into dreams! At The Green Machine, we are proud of the fact that we cultivate long lasting relationships with our clients by exceeding expectations and gaining trust through exceptional performance. Click on any of our services below for more information. We can help with your property maintenance needs. Have a Question or Need a Quote? Contact Us Today! Small enough that we deliver that personal touch and yet large enough to accomplish any job. 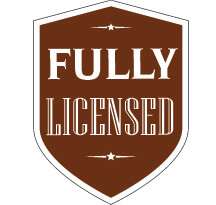 We are a fully licensed landscaping and maintenance company. A complete list of our licenses can be found in the footer below. The Green Machine built it’s reputation on decades of high-quality results and outstanding customer service. We’ve learned a lot about the landscaping, hardscaping, and landscape design business over the years. We take that knowledge and use it to help transform your home from average to spectacular. In fact, ask any of our landscape design customers and they would agree! "Thank you for the amazing (as usual!) job your crew did while mulching this year! Their attention to detail was top-notch and I appreciate the effort of the entire crew. 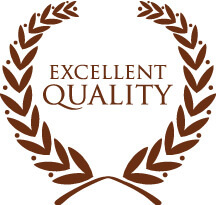 Thank you for your 25+ years of wonderful service"
Our family-run business is located in Bloomfield, CT and services the Greater Hartford area. Please visit our services pages and contact us with any questions or for a free, no obligation estimate. Copyright © The Green Machine, Inc.